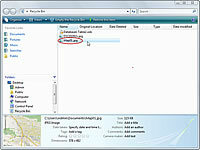 You can undelete a file if you accidentally deleted it or if you need to otherwise retrieve it. You undelete a file by removing it from the Recycle Bin, which puts it back it in its original location. 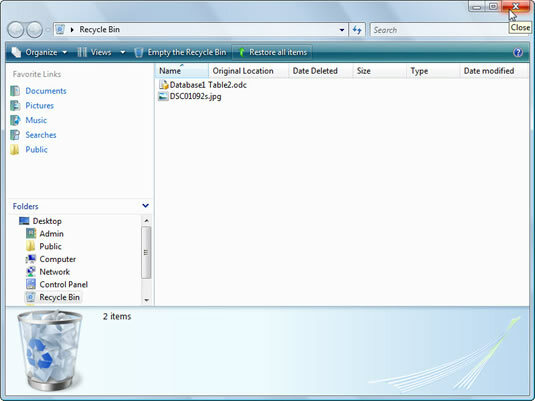 1Open the Recycle Bin on the desktop. 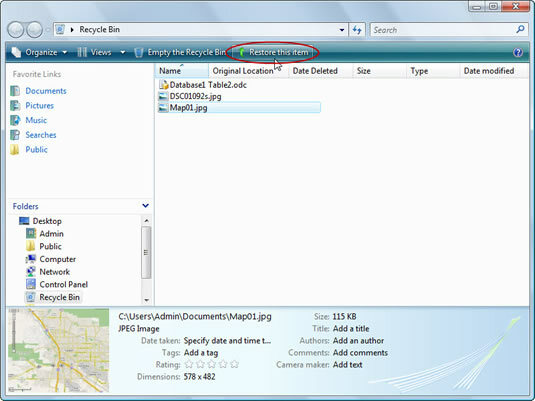 If the Recycle Bin icon isn’t visible on the desktop, click the far left triangle on the Windows Explorer address bar and choose Recycle Bin from the menu that appears. 2Select the file you want to recover. Click on the file and it’s yours to restore. 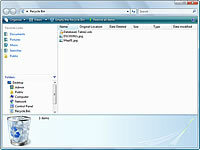 3Click the Restore This Item button on the toolbar. 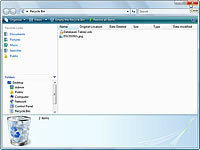 The file is removed from Recycle Bin and restored to the folder and disk from which it originated. 4Close the Recycle Bin window.